LONGVIEW, Texas – Shaking off a 28-21 deficit with 8:47 remaining in the first half, the LeTourneau University men’s basketball team would outscore visiting Austin College 27-11 to close out the first half before cruising in the second half to earn a 108-69 win in their 2018-19 home opener at Solheim Arena on Tuesday, November 20. LETU improves to 3-2 overall with the victory while the ‘Roos drop back below .500 at 2-3 overall heading into the Thanksgiving holiday. Looking to get off to a quick start in front of their home crowd, LETU would find themselves in a battle early on as three-point shooting for Austin College would spark a 10-5 run to double up the YellowJackets two minutes into the game. LeTourneau would cut the AC lead to three at 12-9 on a transition dunk by Justin Moore, but see Austin College rely once again on hitting shots from beyond the arc to go up six. Finally managing to tie the game at 19-19 and again at 21-21, LeTourneau would be unable to secure the lead as a 7-0 ‘Roo run gave Austin College their largest lead of the game. Back-to-back buckets by Caleb Loggins helped jump-start an 11-2 run that would give LETU the lead following a layup from Christian Seidl with 5:40 left in the first half. AC would respond by taking one final lead at 34-32 on a fast break jumper from Blake Mattich, but see Nate West hit a three to allow LeTourneau to reclaim the lead for good. The half would end with a 7-2 run in favor of the YellowJackets, as West would hit a free-throw line jump shot at the buzzer to put LETU up 48-39. LeTourneau would waste no time to get going in the second half, using a 9-2 run to extend their lead to 57-41 with 17:05 remaining in the game. LETU’s lead would grow to 20 on a Loggins layup three minutes later and would be followed up consecutive triples as the YellowJackets continued their aggressive style of play. Extending their lead in the final 10 minutes of play while shuffling players in and out to keep legs fresh, LETU would hit the century mark with 3:13 remaining on an Andrew Eberhardt triple and end the game by scoring eight of the final nine points. LeTourneau built their lead thanks in part to a 42-18 advantage on points in three-point shooting as the YellowJackets connected on 14-of-30 treys. 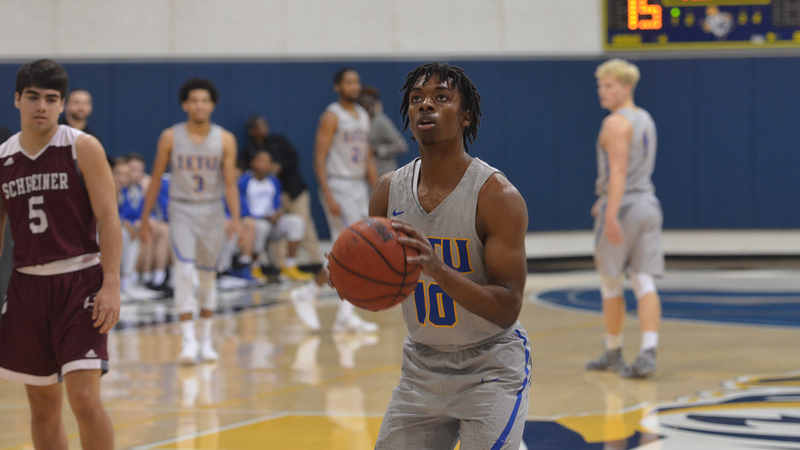 Controlling the game in nearly every statistical category, LETU would score 25 points off turnovers and secure 24 second-chance points off of a season-high 21 offensive rebounds. Loggins led LeTourneau with 20 points and six rebounds while West added 13 points and Javaughn Dantzler scored 10. 15 different players for the YellowJackets would wind up in the scoring column, with 23 of the 42 shots made being assisted. 4-0 Wheaton College will come to town to take on the YellowJackets for a post-Thanksgiving game on Saturday, November 24th at 7 p.m. The Thunder earned an 86-71 win over Calvin College on Tuesday evening, and have wins over Ripon, Coe, and number two-nationally ranked Wisconsin-Oshkosh. Saturday’s game will be Wheaton’s first road game of the year. 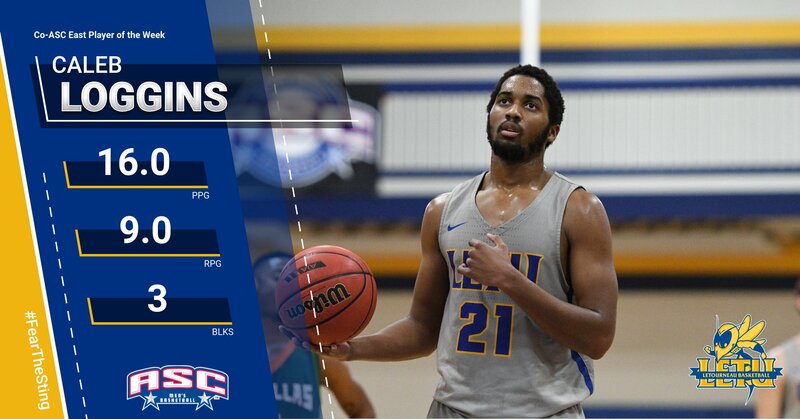 RICHARDSON, Texas – For the first time this season and the third time in his career, LeTourneau University men’s basketball player Caleb Loggins has been named American Southwest Conference East Division Player of the Week for his performances during the week of November 12 through 17. For the week, Loggins averaged 16.0 points, 9.0 rebounds, 2.0 assists, 1.5 blocks and 2.0 steals per game as the YellowJackets went 1-1 at the ASC/SCAC Crossover. The Lewisville, Texas native had eight points, two steals, five rebounds, and two blocks in just 15 minutes in a 77-69 win over Schreiner before scoring his 1,000th career point with 24 points to go with 13 boards in a one-point loss to Texas Lutheran. MARSHALL, Texas – Connecting on just six of 26 three-point shot attempts in the game, the LeTourneau University men’s basketball team would take a one-point lead with 10 seconds remaining before seeing Texas Lutheran come away with an 80-79 win on a shot with one second remaining at the American Southwest Conference/Southern Collegiate Athletic Conference Crossover Tournament in Marshall, Texas on Saturday, November 17. Through four games this season, LETU is now 2-2 overall ahead of Tuesday night’s home opener while the Bulldogs picked up their first win of the year to improve to 1-2 overall. Playing in their second game in as many days, the YellowJackets would see TLU score four points in the opening minute of the match before storming back with a 7-0 run to go up 7-4 at the 17:58 mark in the first half. Trying to keep the momentum, LETU would see Texas Lutheran match their offensive efforts shot-for-shot as the lead would not get above four points in the opening five minutes of the game. Using a Seth Mattson and-one situation along with a Nate West triple, LETU would push their lead to eight at 23-15 with 13:32 left before halftime but see the Bulldogs come back to tie the game at 23-23 just four minutes later. It would take until the 6:51 mark left in the first half for Texas Lutheran to reclaim the lead following a Harris Jowell layup to cap off a 7-2 TLU run. The back-and-forth action would continue throughout the rest of the opening period as Christian Seidl would give the YellowJackets a 41-39 before seeing Texas Lutheran score the final seven points including two late threes to go up 46-41 at the break. No time would be wasted by LETU to open the second half, scoring seven quick points in just 2:10 of action to reclaim the lead at 48-46. Lead changes would continue as four-point runs by both teams would flip-flop two-point leads for the Bulldogs and YellowJackets to put the score at 52-52 with 14:53 remaining. LeTourneau would continue their offensive spurt, scoring seven of the next nine points to open a 59-54 lead but see Texas Lutheran climb right back in it with a Sebastian Andrade triple. Continuing to see their lead range between one and five points, LETU would do their best to fend off the Bulldog attack but see an 8-0 TLU run put the YellowJackets in a 70-66 hole with 4:36 remaining. LeTourneau would not go down without a fight, however, as West would drain back-to-back threes on consecutive possessions as the YellowJackets reclaimed the lead at 72-70 with 3:32 left in the game. TLU would come back and sink one-of-two free throws before Justin Moore would hit a driving layup to put LeTourneau up three at 74-71 which would be followed by two layups for Texas Lutheran to give the Bulldogs the lead at 75-74. LeTourneau would use a Caleb Loggins layup with 45 seconds remaining to take a 76-75 lead, but once again see TLU come back down the court and answer with a shot of their own. Trailing 76-75, the YellowJackets would see West miss a three-point attempt but grab an offensive rebound and hit a circus-shot underneath the basket while getting fouled as the junior would make the free throw to give LETU a 79-78 lead. The heroics would ultimately come from Texas Lutheran however as a shot at the top of the free throw line just inside the three-point arc with one second remaining would fall to give the Bulldogs a stunning one-point victory. West and Loggins would carry the load for LETU offensively, scoring 26 and 24 points each as both players would reach the 1,000-career point mark in today’s loss. LeTourneau would hold a 16-6 advantage in fast-break points and outscore TLU 14-7 in second-chance points but could not overcome a total of just three points from bench players. The game would feature a total of 22 lead changes and 10 ties, with LeTourneau holding a 38-33 advantage in rebounds. After playing their first four games of the season away from home, LeTourneau will play their home opener on Tuesday, November 20 at 7:00 p.m. when they welcome Austin College to Solheim Arena. AC is playing games against Millsaps and Hendrix College this weekend in Conway, Arkansas as part of the SCAC/SAA Challenge before Tuesday’s game. MARSHALL, Texas – Leading by as many as eight points with 4:35 remaining in regulation, the LeTourneau University women’s basketball team would see Texas Lutheran University use an 8-0 run to force overtime. 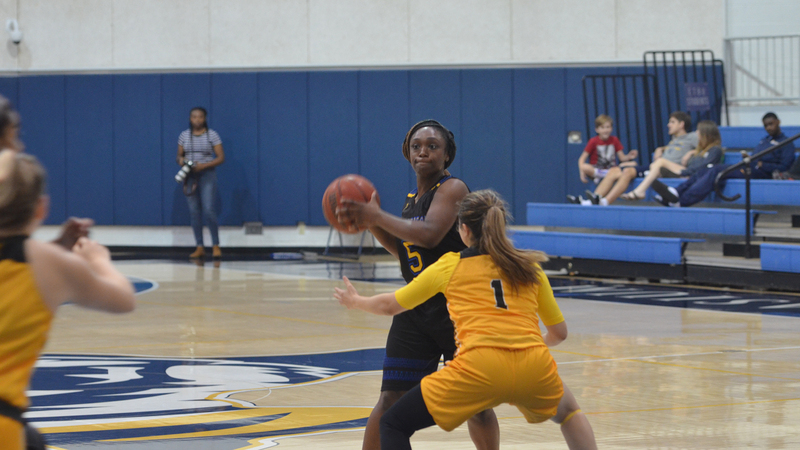 They ultimately fall by a final of 53-50 at Ornelas Gymnasium as part of the American Southwest Conference/Southern Collegiate Athletic Association Crossover Tournament hosted by East Texas Baptist University on Saturday, November 17. LETU is now 1-1 overall this season following the opening weekend of play while the Bulldogs bounced back from last night’s loss against host ETBU to improve to 2-1 overall. Three-point shooting throughout the game would be the spark to the YellowJacket offense as junior Alexandria Thorne would get LETU on the board with a three before seeing TLU score six straight to go up 6-3 at the 6:10 mark of the first half. Thorne and senior Sha’Donnaver Young would then bring LETU back to trail by three at 10-7, allowing for Jaila Leaven to knock down a triple of her own to tie the game at 10-10. LETU would add a transition layup from Young to end the quarter and lead 12-10 to set the tone for the second stanza. Shooting woes would find their way to LeTourneau in the second period as the Bulldogs would open the period on an 8-3 run and allow just one field goal to the YellowJackets in the first 8:20 of the second quarter. Trailing 18-15, Leaven would use an offensive rebound and put back to bring the score within one at 18-17 to close out the half. Right off the bat to start the third, Leaven would find her groove from beyond the arc to put LETU up 20-18 as eight of the first 11 points scored went in favor of LeTourneau to go up 25-21. TLU would battle back with five straight points of their own to take a 26-25 lead, but Leaven once again would find her range with a triple to give the YellowJackets the lead once again. It would be Texas Lutheran ending the quarter on an 8-4 run to take a 34-32 lead heading to the fourth, but a 13-3 run by LETU would give LeTourneau their largest lead of the game at 45-37. The Texas Lutheran defense would allow the Bulldogs to close the gap and tie the game with 1:58 remaining as each team would get a chance to break the deadlock in regulation. Both teams would see their opportunity go empty to send the game to overtime and an extra five-minute session to determine the outcome. 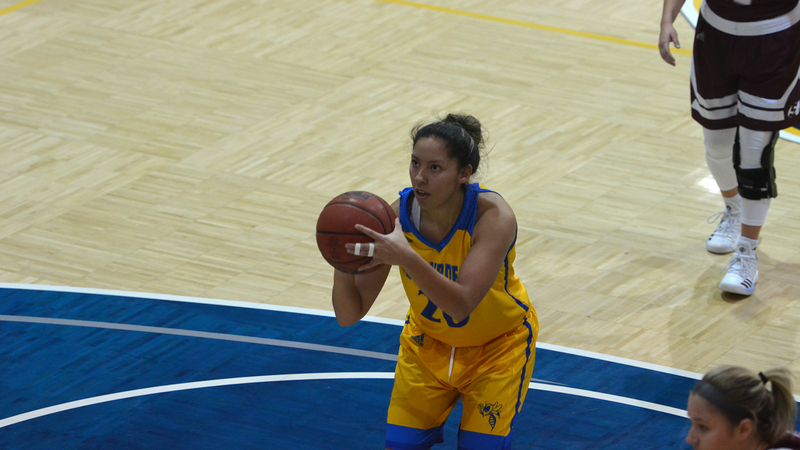 After trading baskets and free throws to open the overtime period, it would be the YellowJackets who would claim a two-point lead thanks in part to a pair of Chauntel Acosta free throws. Cami Davis for Texas Lutheran would give TLU the lead at 51-50 with 1:19 remaining as a similar situation to the end of regulation would play out. Letourneau would be unable to capitalize on three shot opportunities as the Bulldogs would sink two free throws in the final seconds to claim the three-point victory. Nine of LETU’s 17 field goals in the game would come from beyond the arc as the YellowJackets would claim a 27-15 advantage in points off triples. Just one day after using second-chance points to earn their first victory of the year, LeTourneau would be outscored 15-4 in second-chance points and face a 17-9 deficit in points off turnovers. Most of the scoring for LETU would come from Leaven and Thorne as the pair would combine for 35 points (19 for Thorne, 16 for Leaven). LeTourneau will play their second and final exhibition game of the season on Tuesday, November 20th when they travel to Beaumont, Texas to take on NCAA Division I Lamar University at 7:00 p.m. The YellowJackets next regular-season matchup will come on Friday, November 23rd at 11:00 a.m. in Jackson, Mississippi as part of the Millsaps Thanksgiving Classic when they play Birmingham-Southern University. MARSHALL, Texas – Managing to lead by as many as 19 throughout the game and never trail, the LeTourneau University men’s basketball team would bounce back with a 77-69 win over Schreiner University at the American Southwest Conference/Southern Collegiate Athletic Conference Crossover Tournament hosted by East Texas Baptist University in Marshall, Texas on Friday, November 16. LeTourneau is now 2-1 on the year while the Mountaineers fall to 0-2 after losing their second consecutive game to an ASC opponent. LeTourneau would hold a 17-11 advantage in fast-break points but see Schreiner hold a 36-22 lead in points in the paint. The YellowJackets would have to overcome foul trouble and 14 turnovers in the game while connecting on just 21-of-57 shots (36.8 percent). 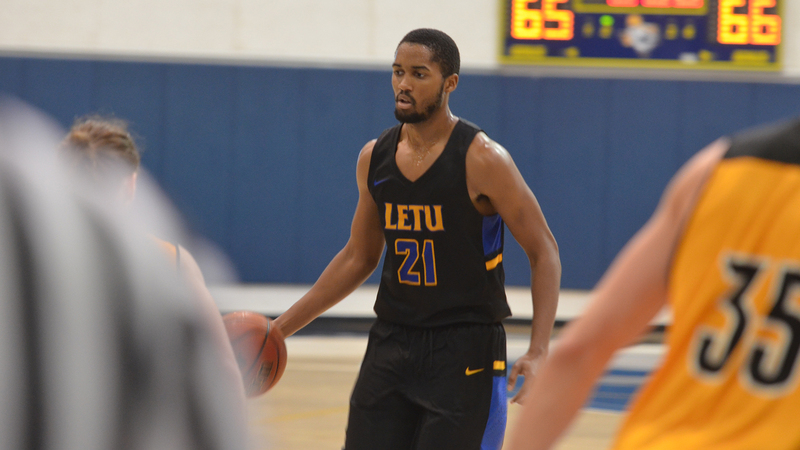 Leading the charge for LETU junior Nate West with a team-high 16 points and two assists while Justin Moore collected a double-double with 10 points and a game-high 13 rebounds. 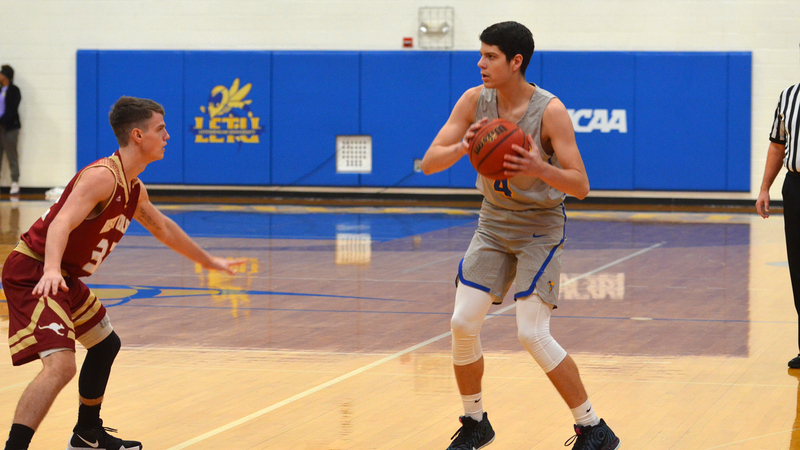 Senior Christian Seidl would add 15 points and eight rebounds of his own to help LeTourneau to a plus-14 advantage in rebounds (46-32). Schreiner would get a game-high 17 points from guard Ellis Jones in the loss. LeTourneau will take on their second-consecutive SCAC opponent tomorrow afternoon with a 2:00 p.m. matchup against Texas Lutheran University. The Bulldogs are scheduled to take on host East Texas Baptist University at 8:00 p.m. on Friday evening. MARSHALL, Texas – Using a 17-7 fourth-quarter scoring advantage, the LeTourneau University women’s basketball team pulled away for a 61-47 season-opening victory over Schreiner University in the opening game of the American Southwest Conference/Southern Collegiate Athletic Conference Crossover Tournament at Ornelas Gymnasium on the campus of East Texas Baptist University on Friday, November 16. LETU is now 1-0 on the season and defeated the Mountaineers for the second consecutive season while Schreiner falls to 0-2 on the season. The early game start would seem to affect both teams early on, as the opening five minutes of action would see a total of eight points scored and square the sides up at 4-4. Schreiner would then use a 7-0 run to open an 11-4 lead with 2:47 remaining in the first quarter before a Karley Patterson jump shot would cut the deficit to five. A quick four-point spurt for the Mountaineers would threaten to put LeTourneau down double-digits, but buckets by Olivia Eweni and Alexandria Thorne put the score at 15-10 heading to the second quarter. LETU would keep chipping away at the deficit to start the second quarter, tying the game on a Jaila Leaven jumper with 5:29 left in the first half. The YellowJackets kept their scoring run going with a five-point run by senior Sha’Donnaver Young as Schreiner would go nearly six minutes without scoring. Heading into the final two minutes of the first half, LeTourneau would hold a 29-22 lead before seeing Schreiner score the final eight points of the period to snag a slim 30-29 lead at the break. Two lead changes would be seen right out of halftime as the YellowJackets would get a three-point play by Keauna Whitfield before Schreiner scored the next four points to take a 34-32 lead. Following some more back-and-forth action between the teams, LETU would use an 8-0 run sparked by Chauntel Acosta to claim a seven-point lead at 44-37 and hold a 44-40 lead heading to the fourth. LeTourneau would then take their first double-digit lead of the game at 52-42 and extend their lead after scoring 10 of the first 12 points of the quarter with Thorne capping off the run with 3:54 remaining in the game. Schreiner would be unable to mount any kind of comeback on the YellowJackets as LETU scored the final five points of the game to pull away. Second-chance points would be a significant factor in the LeTourneau win, with the YellowJackets holding an 11-2 advantage over the Mountaineers along with a 26-17 lead in bench points. Young would lead all scorers in the game with 16 points and dish out four assists while Leaven and Whitfield each added nine points. Schreiner would be led by guard Joseline Hernandez who had 13 points and six rebounds in 28 minutes of action. LeTourneau will make the short trek over to Marshall for the second consecutive day on Saturday, November 17 to close out the ASC/SCAC Crossover Tournament with a 12:00 p.m. matchup against Texas Lutheran University. The Bulldogs will take on number 14-nationally ranked East Texas Baptist at 5:00 p.m. Friday night.